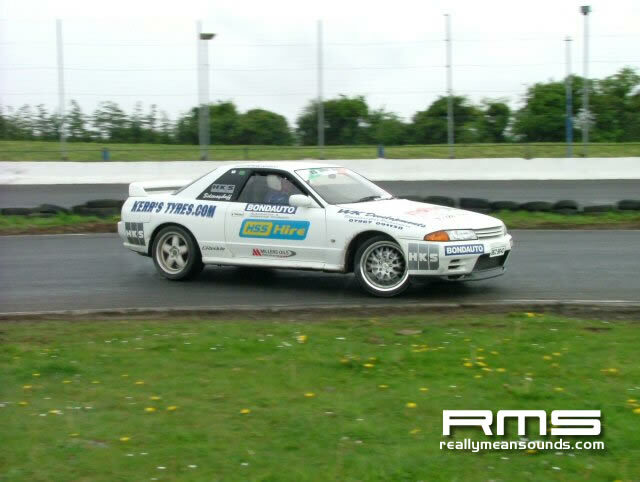 May Day marked the return of the Irish D1 Drift Series to Tipperary Raceway in Rosegreen. 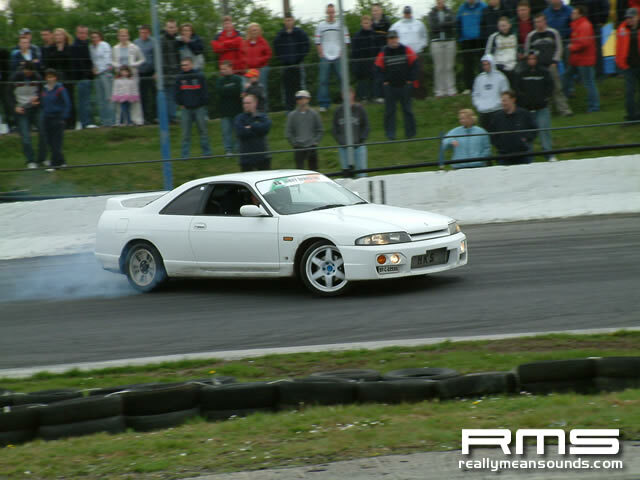 This venue was used for the entire 2004 drift season, so most entrants had driven the track before – and stiff competition was expected. Not long after the 11am opening had the practice runs started, and it was clear to see the track was anything but familiar. 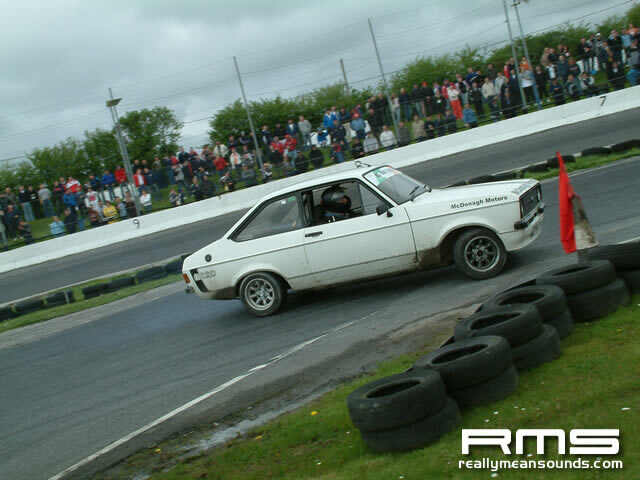 Everyone was on maximum attack from the start, and what looked like unpredictable greasy conditions on track meant most competitors spun on their first few runs. This didn’t help competitor nerves but served up a great show for the spectators at least! This is what I love and hate about this track. 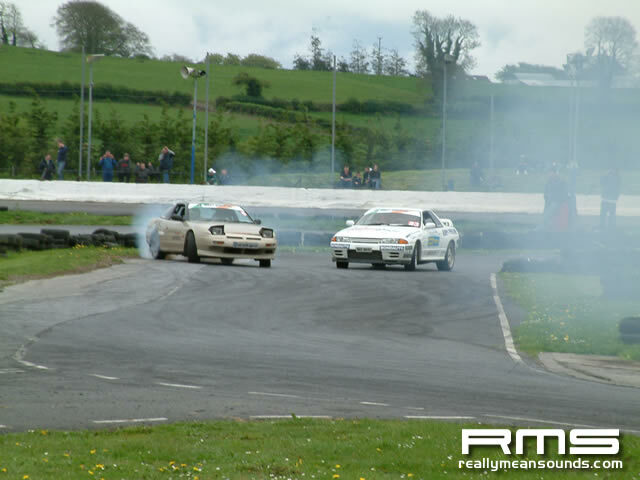 No matter how good a drifter you are, or how many times you’ve driven this circuit it can always catch you out. 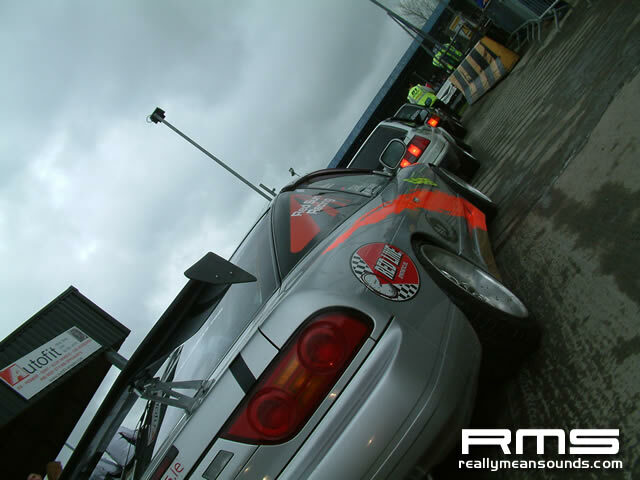 With an undoubtedly difficult practice session over with the event launched straight into the qualifying rounds. 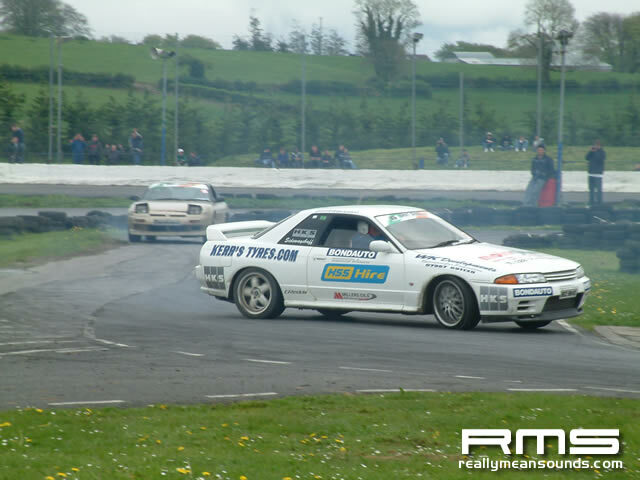 As with the previous event in Cork, drivers were only judged on the second of their two laps. 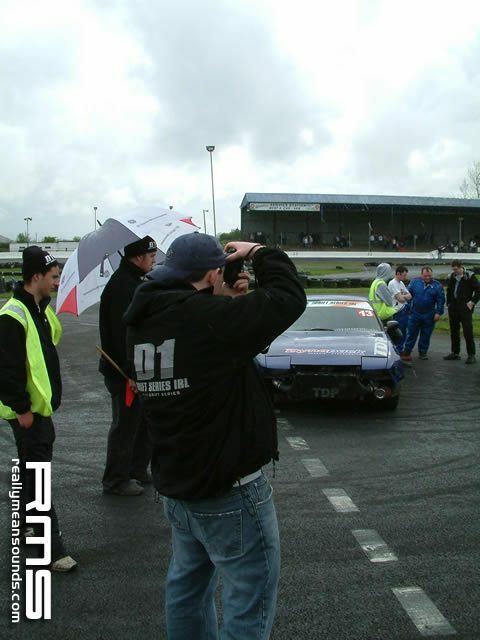 A cone and flag were also added on the final corner of the track, to encourage drivers to follow a correct drifting line through the corner. Those who came out of the corner closest to the cone with greatest speed and drift angle would be awarded the most points. Needless to say this left some drivers embedded in the cone due to over-enthusiasm. I can’t go on without mentioning one of the most notible vehicles of the day – Walton Smith’s P100 pickup. 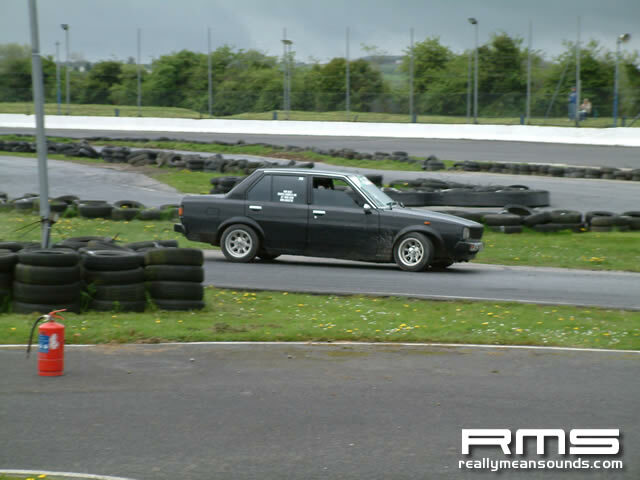 Basically a Sierra front end mated to a pickup rear, running a 2.8 V6, and I’m sure a welded diff proved to be one of the most entertaining sights of the day. Walton drove exceptionally well and made it into the top 16. 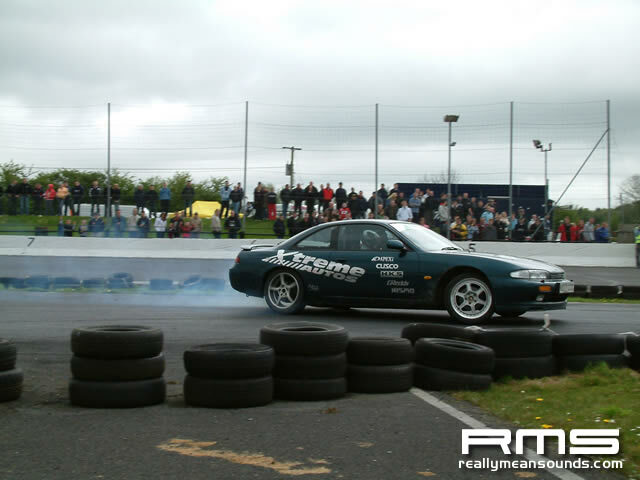 Once the final 16 had been called there was a tyre shredding display, and all 16 cars simply went nuts on the oval. 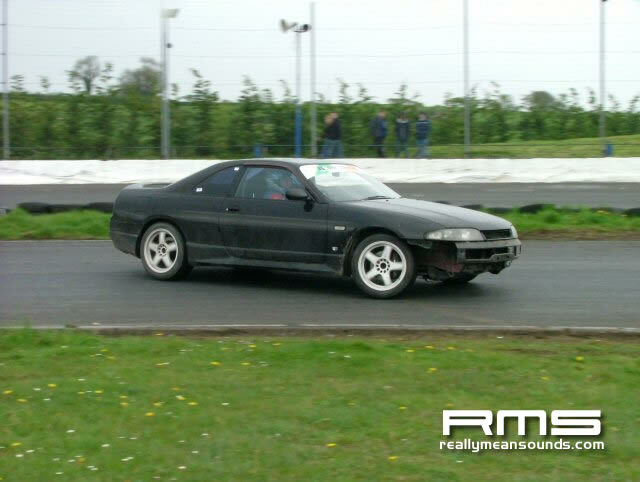 Enormous amounts of rubber were layed down on the track as the best went mental! 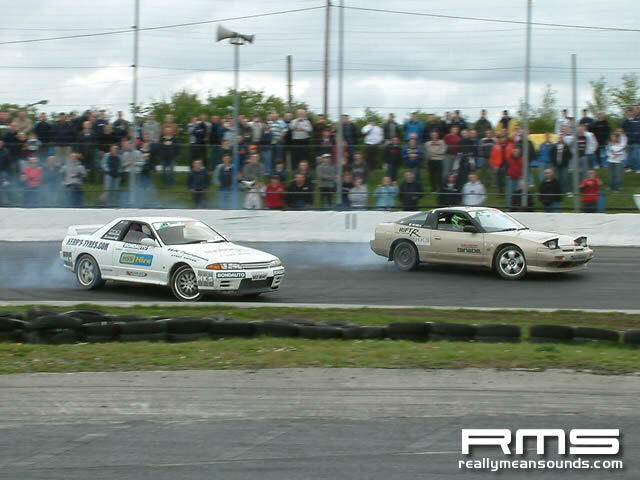 An unlucky Miguel Marini in his pink-striped 180sx got caught up in the action and ended up with a sizable front end thump! 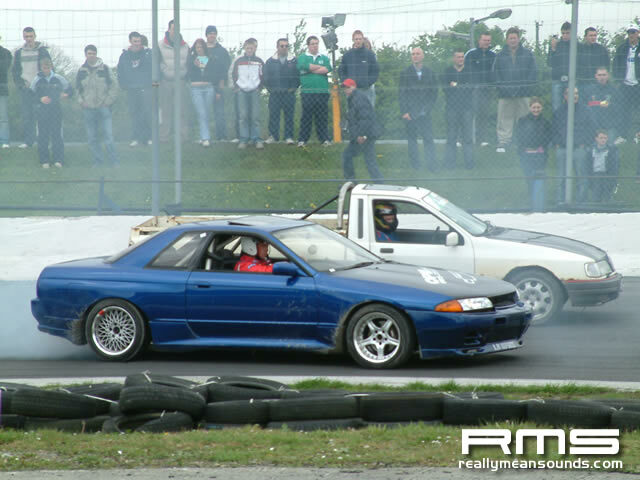 It wasn’t the only smash of the day, with a blue R32 bouncing off the oval wall and into the black S13 during the Tsuiso. Ouch! 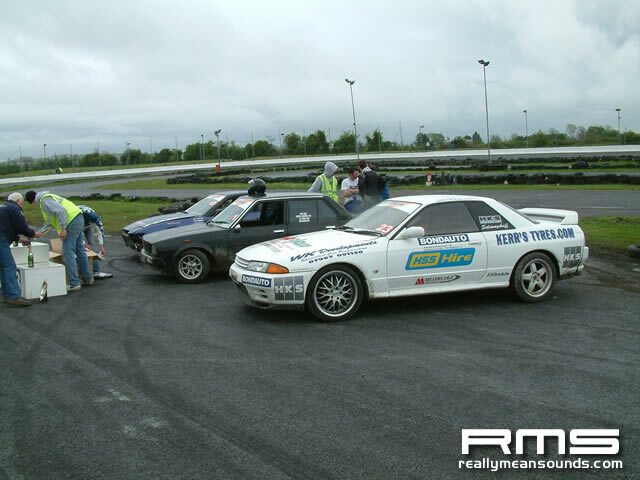 Tight battles ensued and drivers were in fierce competition for the top four places. 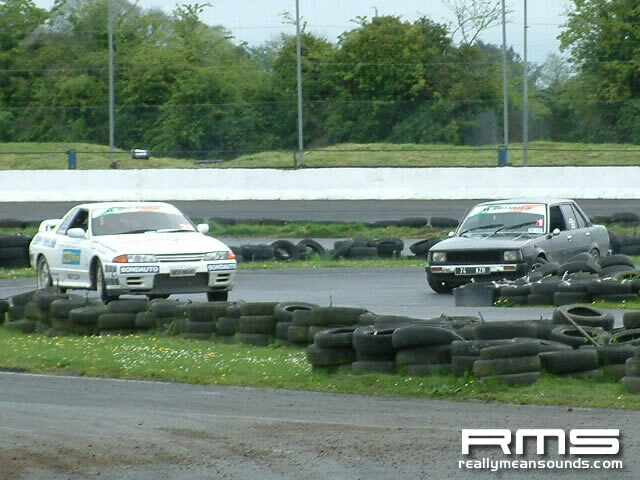 Darren McNamara (Corolla DX) and Tommy McDonagh (Mk2 Mexico) in the sub 200bhp cars up against the big guns of Damien Mulvey (S13) and Mark Luney (Skyline GTR) was edge of your seat stuff. The judges had a hard time making decisions as these guys are all so good. 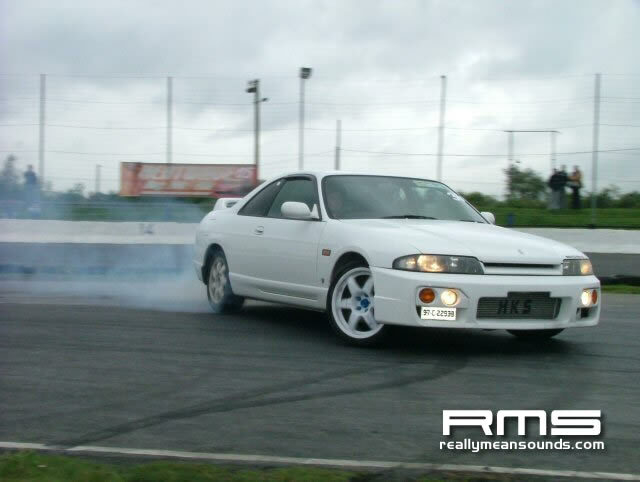 How Darren pushed his DX into the corners and somehow hold up to Mark’s GTR being over 200 brake down defies thought. 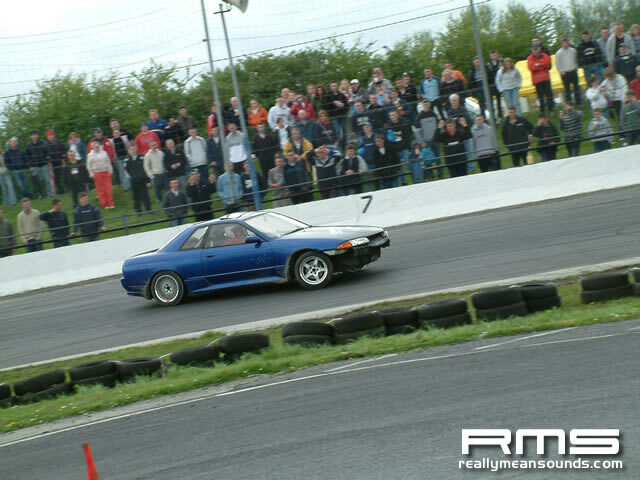 Well deserved second place behind the man who was undoubtedly unbeatable on the day, Mr Luney. 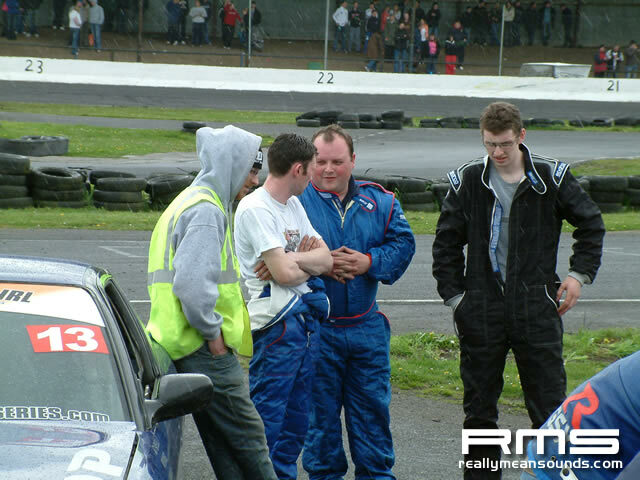 2004 Champion Mulvey wasn’t far behind clinching 3rd place after beating McDonagh. 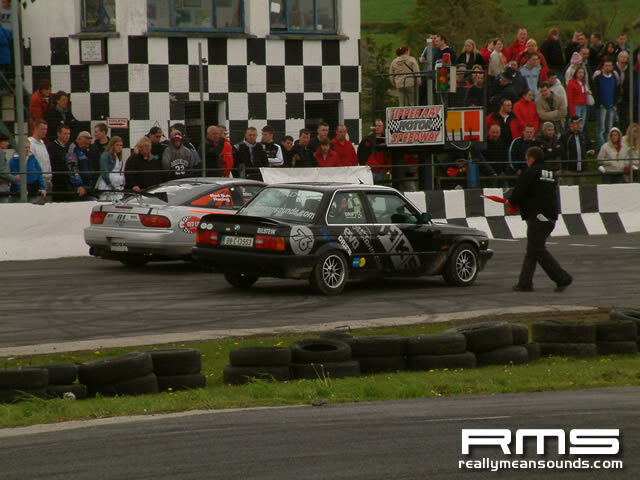 Round 3 at Mondello is going to be a killer event!